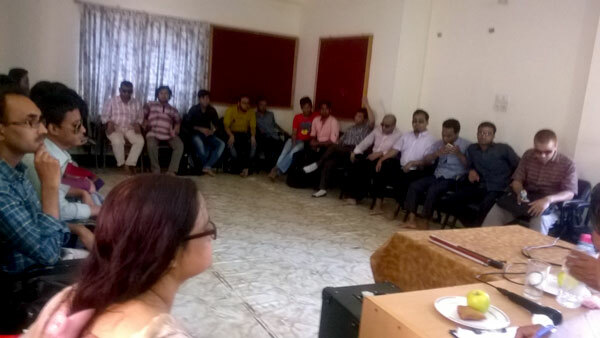 YPSA arranged a workshop on “Disabled-friendly budget allocation for the City Corporation” on 20 May at the conference room of YPSA-HRDC Chittagong with the support of Access Bangladesh Foundation and Disability Rights Fund. The speakers in the workshop presented various suggestions for the implementation of the disabled-friendly city plan. For example: An increase in the budget allocation of Chittagong City Corporation for the people with disability, developing a disability and accessibility guideline for the City Corporation; initiating various training and rehabilitation programs for the PWDs and appointing them in schools, colleges and other projects based on their qualifications; providing education and technical scholarships, loans, and allocated seats for people with disabilities in the public transportation; enabling the committees on disability etc. M. Nasirul Hoq, News Editor, Suprobhat Bangladesh; Gias Uddin, Ward Councilor, CCC; Abida Azad, Ward Councilor, Farzana Parvin, Ward Councilor, CCC; Md. 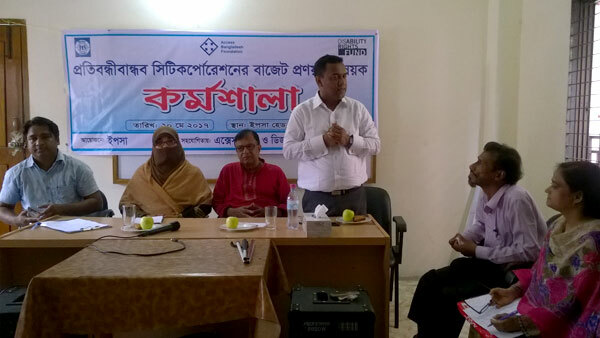 Shahidul Islam, program manager, YPSA and people living with disability participated in the workshop. A written proposal will be prepared on disability inclusive budget and submitted to the city mayor on behalf of people with disability as the decision was made by the participants at the end of the workshop.